Often overlooked in favour of its Scandinavian neighbours, Norway’s capital Oslo should be on every traveller’s radar. Perched at the head of the majestic Oslofjord, this bustling maritime town offers a perfect balance between easy access to nature and urban activities. 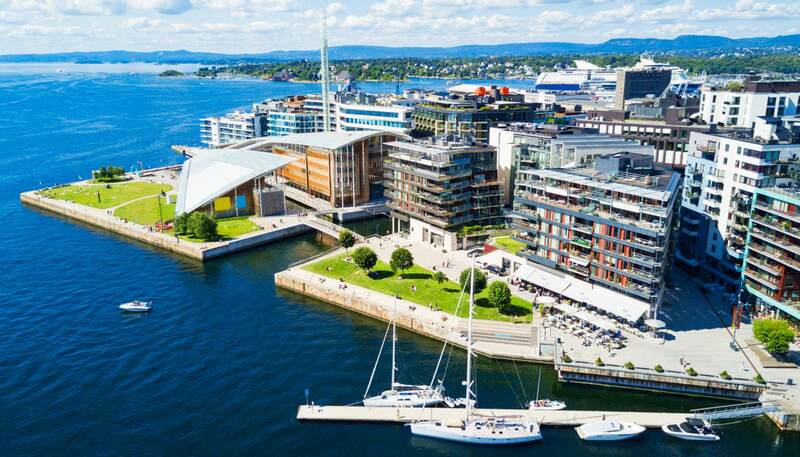 One day you’ll be hiking through the deep pine Nordmarka forest, the next, gawping at cutting-edge architecture like the Oslo Opera House as you stroll along the city’s quirky waterfront. A hub for urban innovation and Viking Age tourism in northern Europe, head to Oslo for an unforgettable city break. 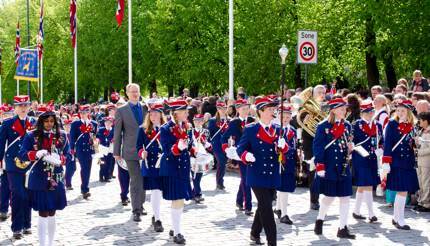 Spring (March-May) starts off snowy but as the season progresses, temperatures make their way up to an average of 12ºC (57ºF) and flowers start to bloom just in time for Norway’s Constitution Day on 17 May. Summer (June-August) is blissfully warm with plenty of sunshine and temperatures hovering at 20ºC (68ºF). Days are long and the sun never quite sets, which leaves plenty of time for island hopping in the Olsofjord. Autumn (September-November) is short with cold weather setting in as early as late October with temperatures fluctuate between 4°C (39°F) and 10°C (50°F). Winter (December-February) is dark with few hours of daylight but it also transforms Oslo into a winter wonderland with mountains of snow perfect for skiing in Oslo’s Vinterpark. Oslo’s compact city centre is very walkable, and its public transport system is efficient, encompassing buses, trams, trains, ferries, and the Oslo metro, known as T-bane. Single-trip, 24-hour, and weekly tickets make sightseeing comfortable and are available for purchase from ticket offices throughout Oslo. The Oslo Pass gives passengers access to all public transport, free entry to 30 attractions, free walking tours, and numerous discounts throughout the city. Visitors can find taxi ranks with registered, metered taxis throughout the city. Helicopter taxi services and a Fjord taxi, which passengers can charter for private trips, are also available as transportation options. For more information on how to navigate Oslo, see our Getting Around Oslo guide. The Bygdøy peninsula holds some of Oslo’s most treasured museums, including the famous Viking Ship Museum, which displays the world’s best-preserved Viking ships and other artefacts from Oslo’s Viking tombs. Learn about Oslo’s founders, their famed savagery, and the city structure that dates back to 1000 CE. This year-round, outdoor sculpture park gives tourists the chance to see over 200 bronze, granite, and cast iron works by celebrated artist Gustav Vigeland. Vigeland’s artistic vision didn’t end with the modelling of his life-like sculptures but extended to the vast acreage of the space and the architecture within the park. Though the figures are sometimes creepy, a stop by the world’s largest sculpture park created by a single artist remains a must on a tour of Oslo. The Nobel Peace Prize, or one of the most distinguished awards an individual can ever receive, calls Oslo the home of its annual ceremony. Opened in 2005, the Centre dedicates its space to promoting debate and reflection on relevant issues concerning war and peace. See the history of the Nobel Peace Prize laureates, Alfred Nobel, and receive inspiration on how anyone can change the world, no matter how small their action. 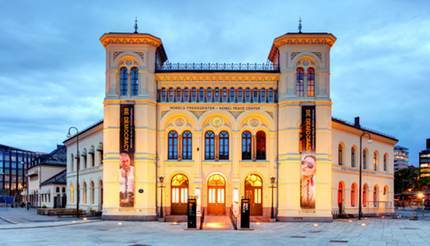 For more attractions to fill your days in Oslo, refer to our Things to See in Oslo guide. For the avid skier, the Olympic calibre ski jump located in the Holmenkollen neighbourhood presents a challenge and an exhilarating rush. For novice skiers who prefer to spectate the flight of other brave souls, roam the adjacent museum that outlines the sport’s history and displays approximately 2,500 pairs of ancient and significant skies. 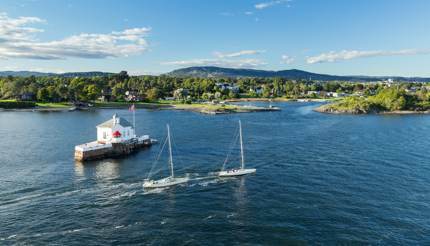 In warmer weather, partake in all that the Oslofjord inlet has to offer on a cruise. 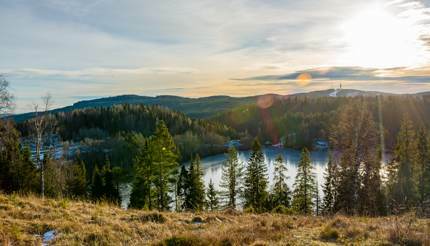 Known as the picturesque pride of Oslo, the area permits guests to kayak, canoe, dive, and fish from calm shores. For a more dry experience, appreciate the scenery from the deck of a cruise ship and enjoy the included guided tours of the city’s islands and suburbs. To see other a-typical activity recommendations, view our Things to do in Oslo guide. Reindeer meat – you’ll find it in a number of dishes and stews and in the form of sausages and meatballs. Hot dogs – or pølse make up a large portion of the quintessential Norwegian diet. Smoked salmon – dry cured for 24 hours and rubbed with a blend of salt, dill, and sugar. Waffles – thin and heart-shaped, enjoy this sweet snack with jam and whipped cream. Tipping: not compulsory, but welcomed by the service industry. 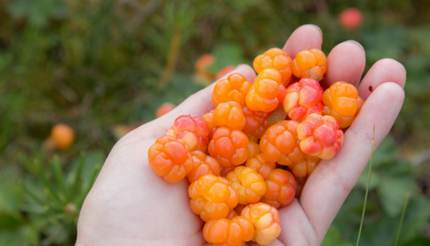 If restaurant goers feel obliged to tip, it is customary in Norway to round up the bill. To see more of Oslo’s traditional cuisine and where to find it, visit our Oslo Food & Drink guide. Small boutique accommodations and larger luxury hotels offer Oslo’s tourists a wide variety of options during their stay in the city. Rich in history and run by the same family for four generations, the Hotel Continental’s opulence resonates through its newly renovated reception, lobby, and exclusive hotel rooms, which will open in the fall of 2018. For travellers with a tighter budget, enlist the chain of Thon Hotels for comfortable rooms close to Oslo’s main attractions. 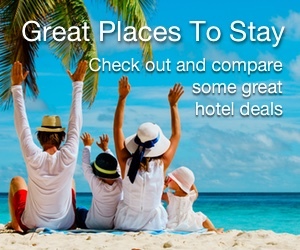 Find more hotel options with our Oslo Hotels guide. Due to bone-chilling temperatures, Oslo’s locals opt for stronger beverages and a vivacious evening lifestyle to warm up. The city offers tourists a variety of live acts featuring musical genres like classical jazz and headbanging metal. Plan a night out in Norway with the help of our Oslo Nightlife guide. Though not a particularly cheap shopping destination, Oslo does offer quality goods bound to impress friends back home. Shop at boutiques, art galleries, outdoor produce markets, and the Aker Brygge, Oslo’s oldest shopping area where you’ll find everything from Norway’s world-famous knitwear to hand-carved wooden trolls. 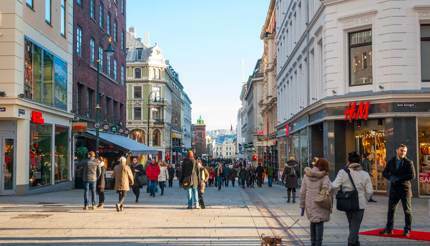 Know where to go on your shopping escapades and what to buy with this Shopping in Oslo guide. For stays of up to 90 days, Norway does not require British, Australians, Canadians, Americans and EU nationals to have a visa. A passport valid for three months beyond an individual’s length of stay and issued within the past 10 years is required by all nationals mentioned above with the exclusion of EU nationals from a Schengen member state holding a valid national ID card. For more information on the documents you need to enter Oslo, please visit our Norway Visa and Passport Requirements page.